With a sharp knife, cut some deep wedges into each chicken piece. Put the chopped olives/olive tapenade into the wedges and wrap each piece in 1-2 slices of pancetta. 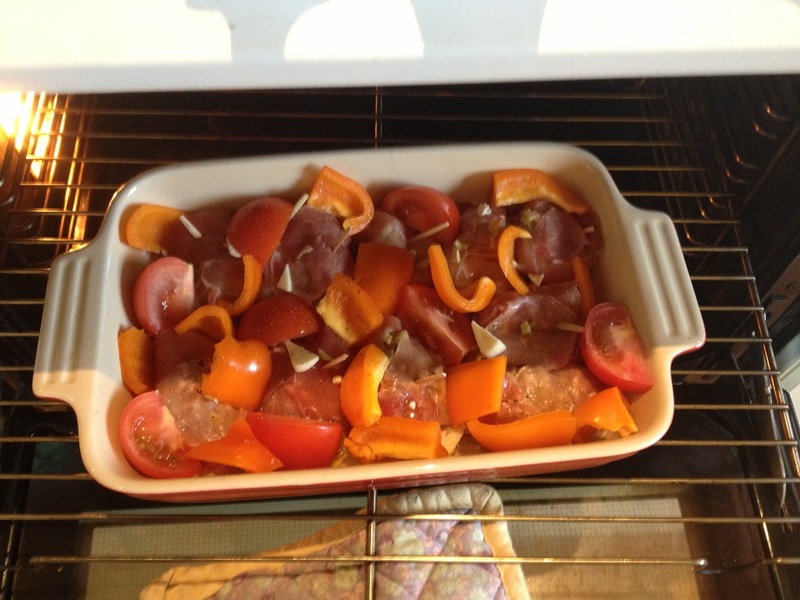 Place the chicken in an ovenproof dish and place the tomato and bell pepper pieces around them. Pour wine and olive oil on top and season with salt and pepper. 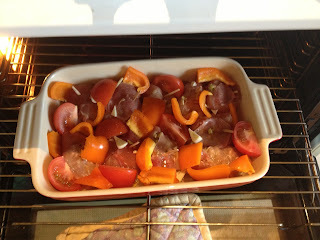 Bake for 20 minutes or until the juices run clear. Cover with some foil and leave to rest for 5 minutes before serving. Serve with ciabatta bread that's been sliced, brushed with olive oil and grilled for 2-3 minutes.